Super stuff near the top in my book. Downwind, good choice. Beautiful aurora :). Why did you have to go spoil such an extraordinary image with such a banal title! Totally wrecked it for me. 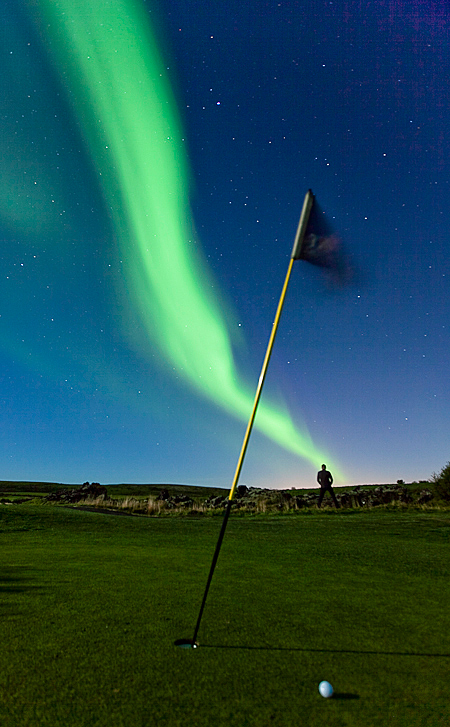 Must be something else, golfing by the aurora borealis! Is the green light aurora? Nice shot. Unique and cheeky entry for DPC. Good placement of the Northern lights. Norway? Proudly hosted by Sargasso Networks. Current Server Time: 04/19/2019 11:23:21 PM EDT.